Do you want to feel more empowered in your healing? We will support you in deeply connecting with and nourishing your mind, body and soul. To better understand how the choices you make each and every day can and will support your health and vitality? Healing isn’t supposed to be overwhelming. That’s why we have designed an integrative program that will support you as you move through your journey with cancer. Receiving a cancer diagnosis is incredibly difficult to navigate, layer that with the abundant and often confusing information provided by the hospital, the multitudes of somewhat contradictory information on the internet, the ensuing participation in treatments that lead to a number of side-effects, and you become depleted, exhausted, overwhelmed. Our program was developed to guide you, regardless of where you are in your journey (from initial diagnosis to life beyond treatments) back to a place of grounded strength and vitality. We will support you in nourishing your mind, body and soul. 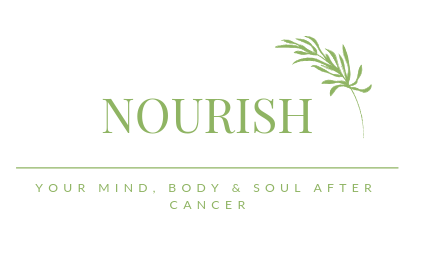 We will educate you on how you work from the inside out, and what you need to do to support yourself in rediscovering a vitality that you may have never experienced, even before your diagnosis. ¥ 8 weeks of weekly sessions and appointments, which will include Nutritional Coaching, Yoga, Meditation, Acupuncture, Massage and Reiki. ¥ Individual appointments for Nutrition (4 sessions), Acupuncture (4 sessions), Massage (2 sessions) and Reiki (4 sessions) to be arranged during Orientation Night. Note: many of these treatments will be covered by extended health care benefits plans. Receipts will be issued for all treatments/classes at the end of the program. Are you currently living with cancer, or cancer free?